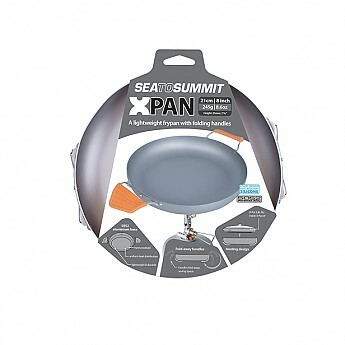 We bought this pan to supplement the Sea to Summit X-Pot 2.8 L pot which I reviewed here in July of 2015; the X-Pot is great, but the base area is a bit small for cooking larger items. 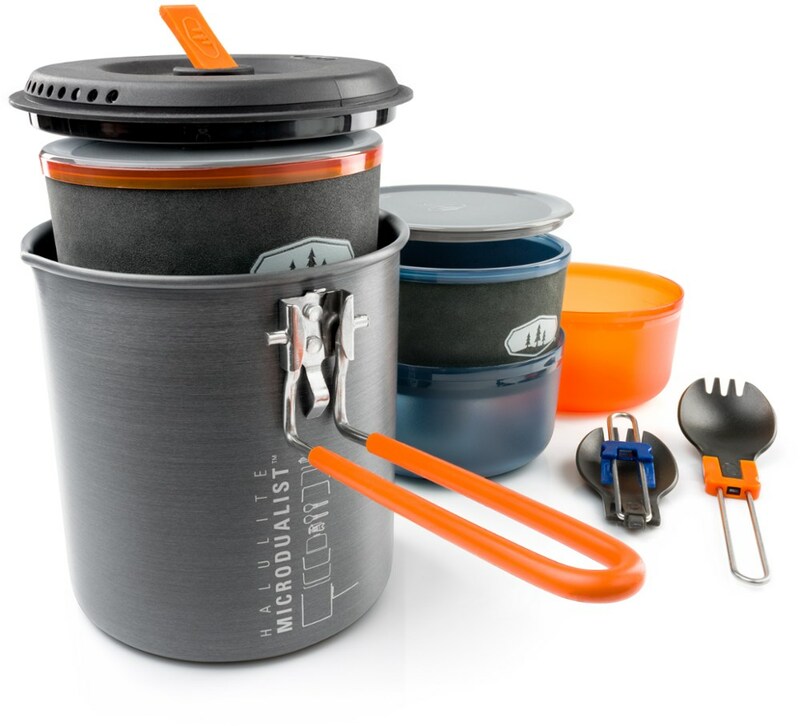 The X-Pan is a great addition to our canoe and car camping cookset. 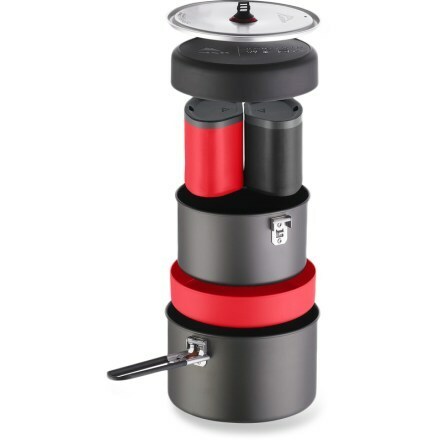 The Pot nests right inside the Pan, and the Pan has proven to cook items such as grilled breads, French Toast, and scrambled eggs beautifully, with easy cleanup! 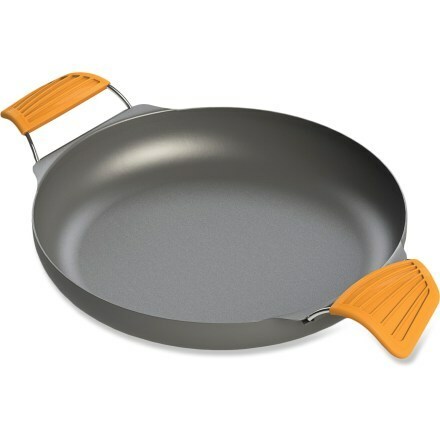 This is an 8-inch pan, with edges that are raised approx. 1.25 inches. 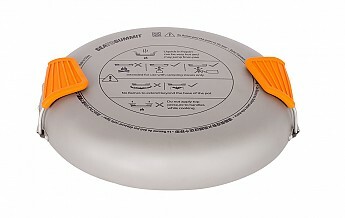 The pan is sturdy, and works nicely on our backpacking stoves (MSR PocketRocket and MSR WhisperLite). 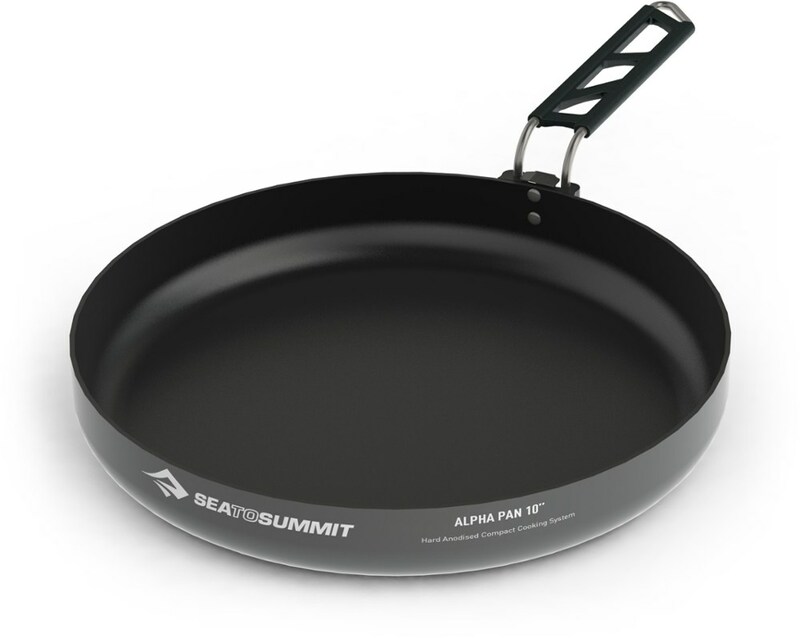 The pan is made from 5 series aluminum which apparently makes it very light and stiff. 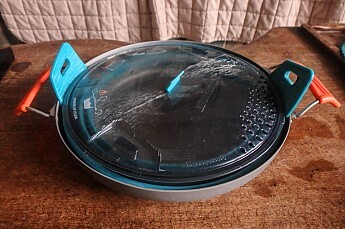 We have also found the surface easy to clean, and it looks still new after many uses. 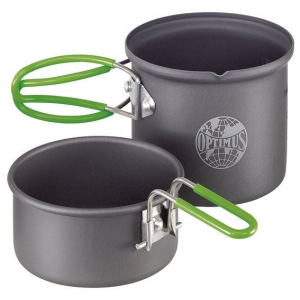 There are two handles, with heat-resistant silicone coating grips, that are hinged onto the rolled edge. 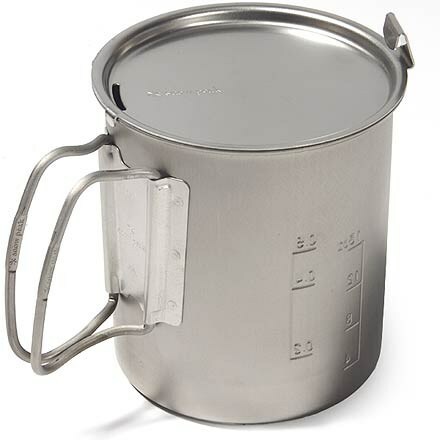 These non-corrosive stainless steel handles fold out for use and tuck down for transport. 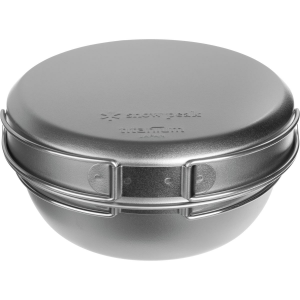 The X-Pan does not have a lid, but for the foods we prepare in it, a lid is not necessary. Our X-Pot fits nicely inside the pan. 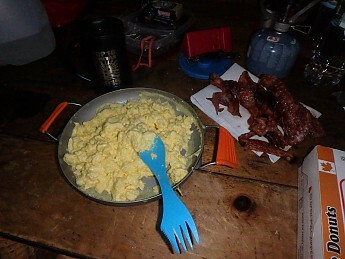 The pan seems to heat pretty evenly for a pan on a backpacking stove, though you do have to keep an eye on things! The pan weighs 10.0z. There are instructions for use printed on the base of the pan, which makes them a bit tough to read while it is in use...however, these are mostly common sense reminders (such as do not let flames extend beyond the base of the pan...or there go your silicone handles!). There are other cooking and eating products in the "X" line from Sea to Summit, and reportedly they all are designed to nest within one another. This pan is a bit pricey ($40) for a single pan. However, it has proven very useful for us, and certainly should last us a long time. (I used a retailer's dividend towards the price). I definitely would recommend this pan. Nice review, Sheila! Thanks for taking the time to share it and some pictures.